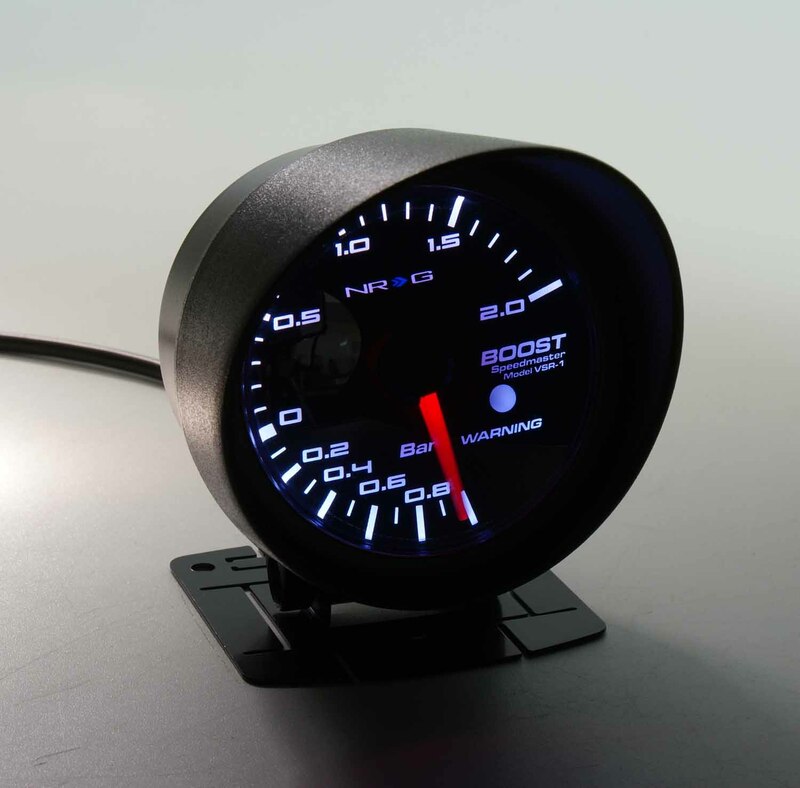 NRG High Performance Sport Gauges are electronic gauges which are high response(with 270 degree Step Motor Movement) and refined in design. Each NRG gauge(Black Face White Wording) has one LED and will illuminate(Red) when the gauge pointer exceeds a warning value. The diameter of the NRG gauges are 60mm(2.5"). - Air Fuel Ratio Meter.